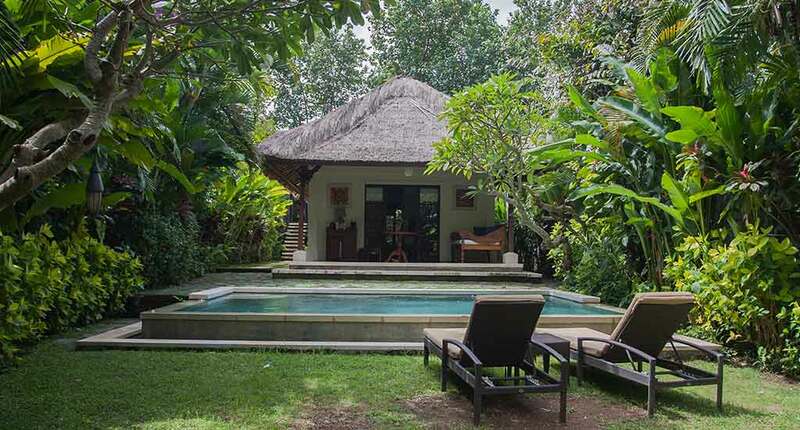 Plataran Canggu Bali Resort and Spa is located along a river surrounded by lush green rice fields. It’s a 15-minute drive from the bustling Seminyak area. This haven of peace and tranquillity is just a few steps away from the main street of Canggu, yet it is just secluded enough from the noisy crowd. The hotel has a full-service spa, swimming pools and a restaurant. There is also a 24- hour fitness centre, a bar/lounge and a coffee shop on site. Guests can relax at the hotel’s art gallery or library where they can have a relaxing read. 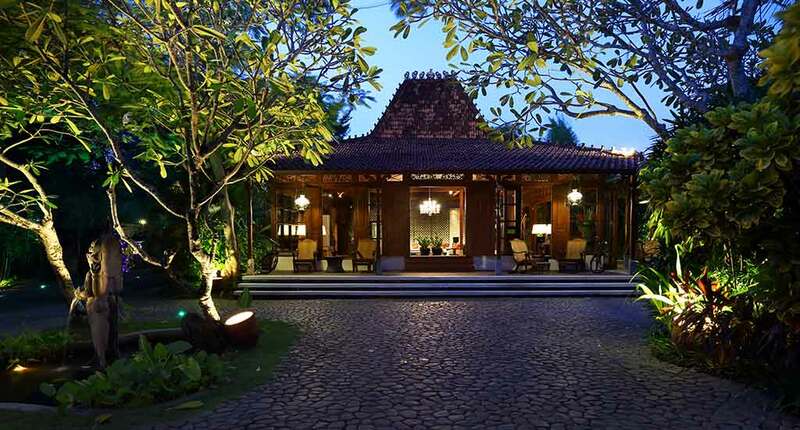 The 5 villas are decorated in the traditional Balinese style, with traditional Alang –Alang roofs and antique carved roofs. They include private gardens, sitting areas, balconies or patios and minibars. 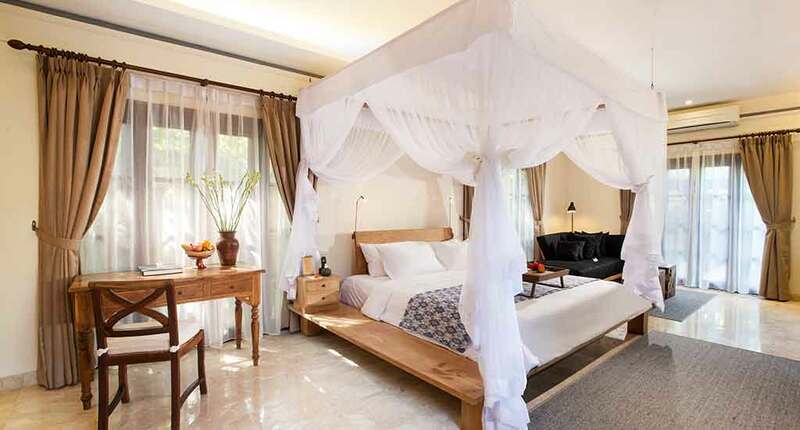 Although the rooms have a traditional design, they are equipped with all the modern features such as Wi-Fi, air conditioning, tea/coffee machine and flat-screen cable TV. Room service is also provided. 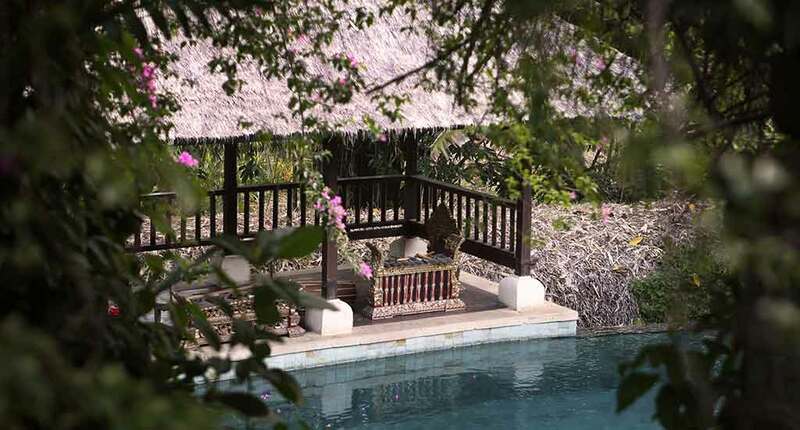 The hotel has two private outdoor swimming pools and a 12.5 square metres pool which overlook the river and the tropical gardens. The Padma Spa offers on-site pampering, such as massages and beauty treatments. These treatments balance the mind, body and soul, and restore your inner balance. For those that want to venture out, the Spa at Plataran Canggu Bali Resort and Spa is just a 15 min drive to Echo Beach. Here you can experience massages and body treatments like aromatherapy and foot reflexology. Teras restaurant serves dishes that mix the authentic taste of Balinese cuisine with international flavours. The restaurant has a good selection of wine and cocktails. The resort has a fully equipped gym, and a personal trainer is available on request. Clear your mind in the indoor yoga studio with a meditation session amid the Balinese garden with views of the river. Paon Bali is a traditional authentic Balinese kitchen where all the resort’s cooking class activities take place. Here you can learn the art of making traditional Jamu and local recipes. The hotel provides free shuttle services to Echo Beach and Canggu area upon request. It also offers a 24-hour stay service, which allows guests to check in at any time of the day or night, and stay for 24 hours with no additional costs. Catch the sunrise and have a delicious Plataran breakfast on Mount Batur. When you reach the bottom, head to lake Batur and have a relaxing soak in the thermal waters of Kintamani. The hotel provides river rafting on the Ayung River and Telaga Waja River. The Ayung River is best for those that want to see the local wildlife. For a challenging rafting experience, choose the rapid waters of Telaga. Experience and witness the Jati Luwih Rice Fields, recognized by UNESCO for being the most beautiful rice terrace in Bali. It also features the temple network of the Batukaru area. 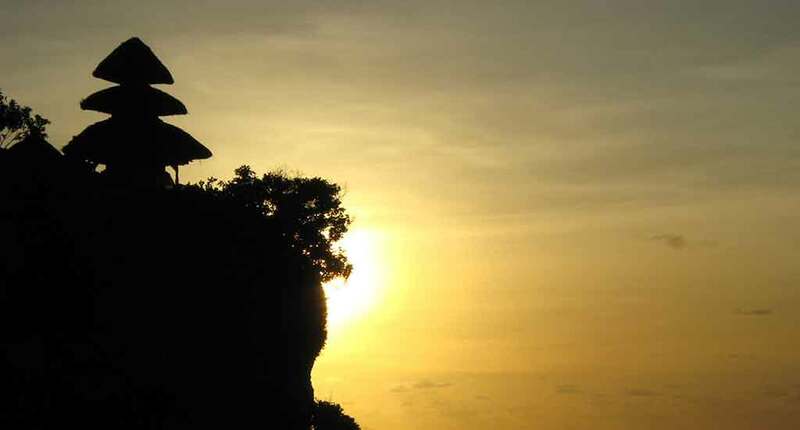 The Batukatu Temple is located at 2,270 m above sea level, and is one of Bali’s most important temples. The Plataran Canggu is a serene getaway in Bali which allows you to relax and pamper your body, away from the hectic pace of the crowds. But for those that want to venture out, the popular dining and shopping areas are close by, and there are lots of activities which the hotel can provide. Address: Banjar, Jl. 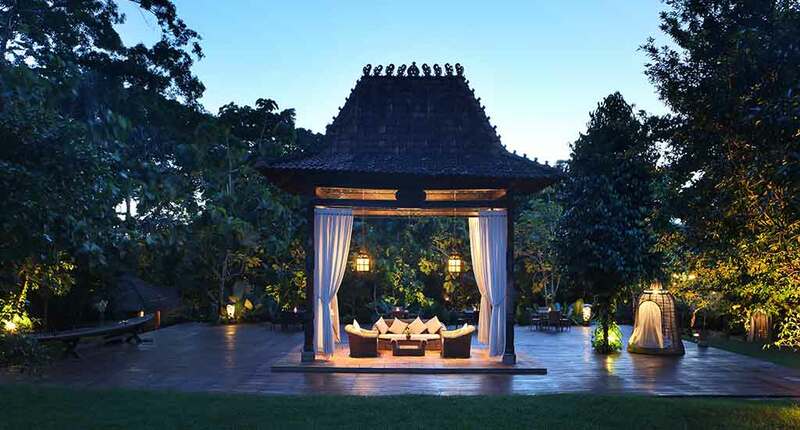 Raya Kedewatan, Kedewatan, Ubud, Kabupaten Gianyar, Bali 80571, Indonesia.